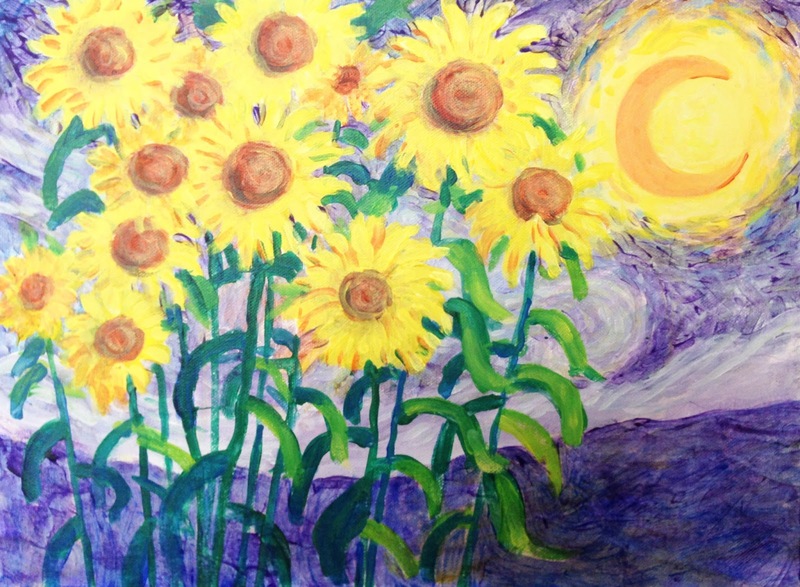 I will be teaching "Starry Sunflowers" at my studio classroom on Saturday, July 23rd, from 1 to 4. Tickets are only $35, and includes all art materials, instructions, snacks, drinks and wine. Small class, individual instruction.